Are you looking for practical ways to apply your faith values to your work? Do you want inspiration to help you in your personal and spiritual development? Our team values providing written and visual content on the blog to equip you as you grow in all areas of your life. 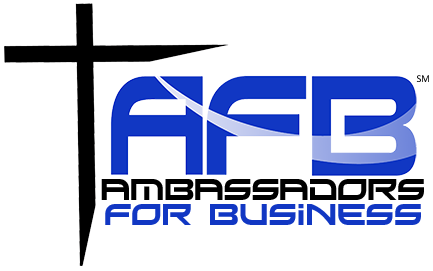 Additionally, the blog is a way for us to share exciting updates about happenings at Ambassadors for Business. We trust you will find leadership content, work + faith insight, and personal development ideas as you read our content and content from our partners! The thought leaders below offer spiritual growth, personal development and leadership content. We believe these sources will be helpful to your growth in all areas of life! Do you know of sources for leadership content, spiritual growth resources, or professional development insights? Our team would love to know about them! Email support@afbnl.com with a link to the content or resource and we will review.